Yesterday’s bag, Tuesday May 2, started out to be a red Fossil satchel style cross body. As i wen to leave, i had to sit down for a few minutes. The daggone bag was too heavy and too small. Lots of hardware will get you every time. I couldn’t even think about going upstairs to find another bag. Then i remembered one I was going to give to goodwill, and went to the living room and grabbed it. Lightweight with three sections, it’s a really great bag. The handles have started to peel so it had to go. Not anymore. 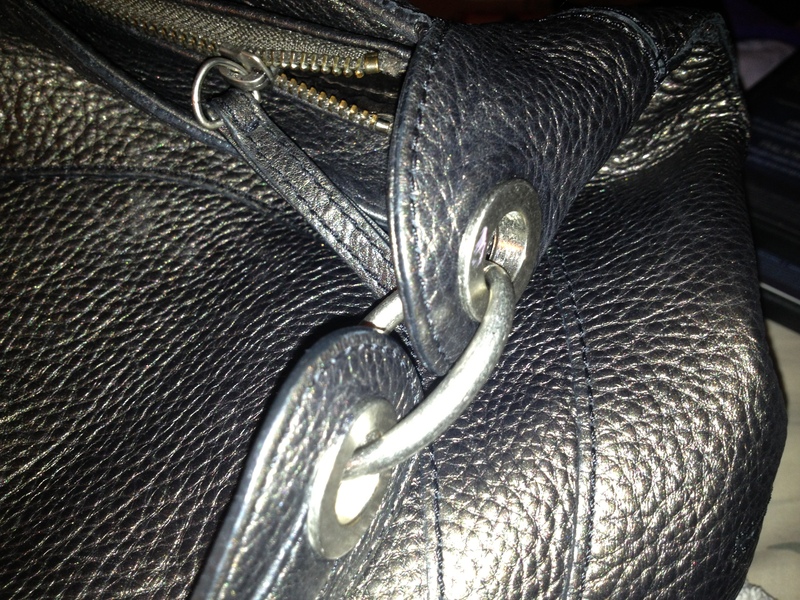 Today i chose a Banana Republic pewter pebbled leather shoulder bag. It’s gorgeous, feels great, but is a black hole bag. It does fit my iPad and water bottle, however, so it’s a keeper. Thanks Goodwil! 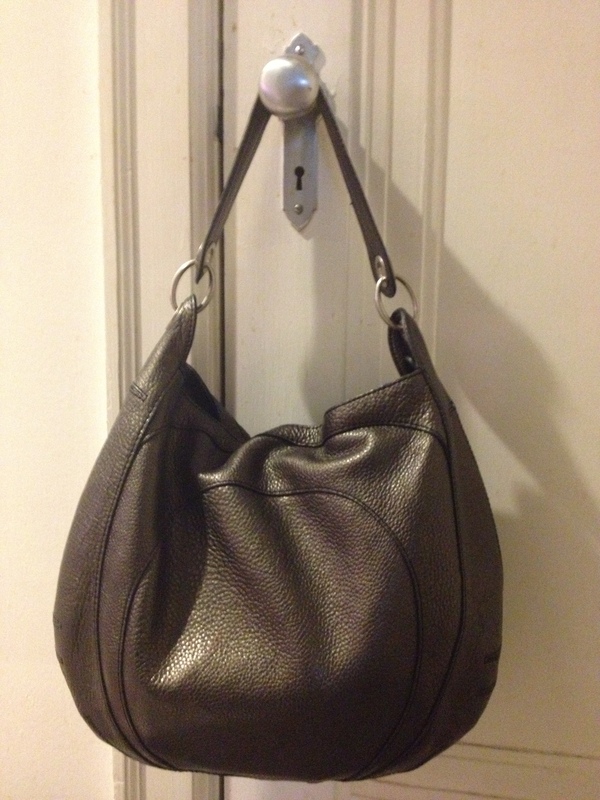 This entry was posted in thrifting and tagged banana republic, black, DKNY, Donna Karan, lightweight, pebbled leather, pewter, shoulder bag on May 3, 2017 by miriamgmck.